A grant proposal is an application for funding by an institution, foundation, government department or corporation. A brilliant grant proposal has a good topic and clarity. Writing grant proposals is hard for anyone who did not learn the art at school. Even those who learned it could make mistakes. Academicwritersbureau.com grant proposal editing services improve every part to persuade the concerned institutions to approve funding. We customize each one that we edit to reflect the unique requirements of each client. When you order from us, we evaluate your proposal carefully and amend anything that is not well written. We also ensure that it fits the required style such as APA, Harvard, Turabian or APA. Academic Writers Bureau editors are scientists with Master’s and Ph.D. degrees. These editors have extensive experience in editing grant proposals. They know the requirements of institutions that offer to fund hence will edit yours to a level that impresses your funders. We know the importance of preserving a complete privacy for edited documents including the grant proposals. It is our policy to keep privacy of submitted work as we know the implications of leaked details. Our editors have served on grant review panels and understood as much. AWB editors possess vast knowledge on research projects they gained when studying for their Masters and Ph.D. degrees as well as their work experience. We assign orders to experts in the field under which your project falls. Some of our editors have active roles at different universities. Their knowledge helps in editing the document to contain trustworthy arguments to persuade the commission that your project is highly significant and is worth funding. Our staff has native English speakers with a natural skill to improve grammar even if for a non-native speaker of English. Grant proposal editing at Academicwritersbureau.com meets highest standards of quality because of using MA and Ph.D. editors who are specialists in the field of your research project. We have been offering editing service for a long time, and our editors have gained much experience after editing thousands of grants. Our online grant proposal editing services include checking for originality. It will ruin your chances if you submit something similar to that of your peers. We review your grant proposal for the uniqueness of ideas and test content for plagiarism after editing. We are happy to satisfy customers, and if you find that we did not meet nor edit everything right, you are free to ask for free revision with the identification of the instruction that your editor did not fulfill. 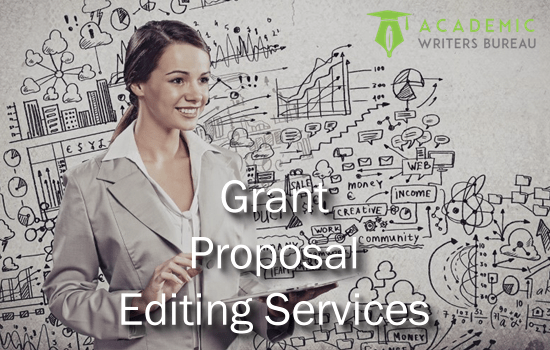 Does Your Grant Proposal need Professional Editing for winning Results? Your surely need a credible editor for the task. Our editors are available and dedicated to walk with you in obtaining the best and outstanding results. What is the extent of your edit? We edit everything from grammar, spelling, punctuation, structure, consistency to formatting. We also eliminate jargon to increase impact. What is the qualification of your editors? Our editors are native English speakers with Masters or Ph.D. degree in their specialist area of science. How do you perform editing? The assigned editor reads the grant proposal while identifying and amending mistakes. We send you revised work that includes one file showing all the changes for you to accept or reject each individually and another file with all changes by the editor. You find the total cost from our calculator on the order page by filling your word count and turnaround. If you ask, we can send you a non-obligatory quote. Pay for grant proposal editing is through PayPal, credit or debit card using our secure payment system. How long will editing my grant proposal take? It depends on the length of your document. If it short, we can edit and deliver on the same or early on the following day. 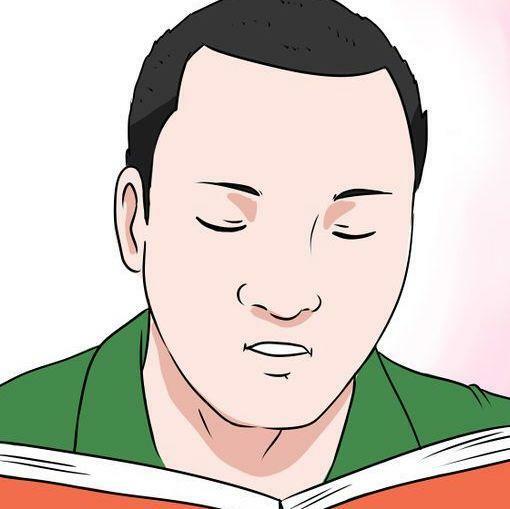 Explanation of plagiarism to make a conscious decision. Always paraphrase our paper when you use the content in your work. Let your Grant proposal pass through our Editors. I am a return customer who is amazed by the quality of editing for my grant proposal. I will never grow tired of your editing service. I recommend AWB to those seeking to fund. I am happy that after they had edited my grant proposal, it got the approval of the grant commission without many problems. AWB gave me value for money by editing my grant proposal to a perfect state. They even discovered and corrected formatting issues.